Syro is the sixth studio album by the English electronic musician Richard D James, released under the pseudonym Aphex Twin on 19 September 2014 via Warp Records. The album artwork above was created by the UK-based design studio the Designers Republic, who also worked on the artwork for 1997’s “Come to Daddy” and 1999’s “Windowlicker”. The font used for the text on the album cover is Decima Mono, which is a four-weight condensed geometric mono-spaced sans serif published by TipografiaRamis. You can preview and buy the font here. The Decima Mono font identified above is not available for free, please follow the link above and purchase the font. Meanwhile, you can take a look at our collection of fonts for cars, pop music and apparel as well as round-ups of new & fresh fonts around the web. 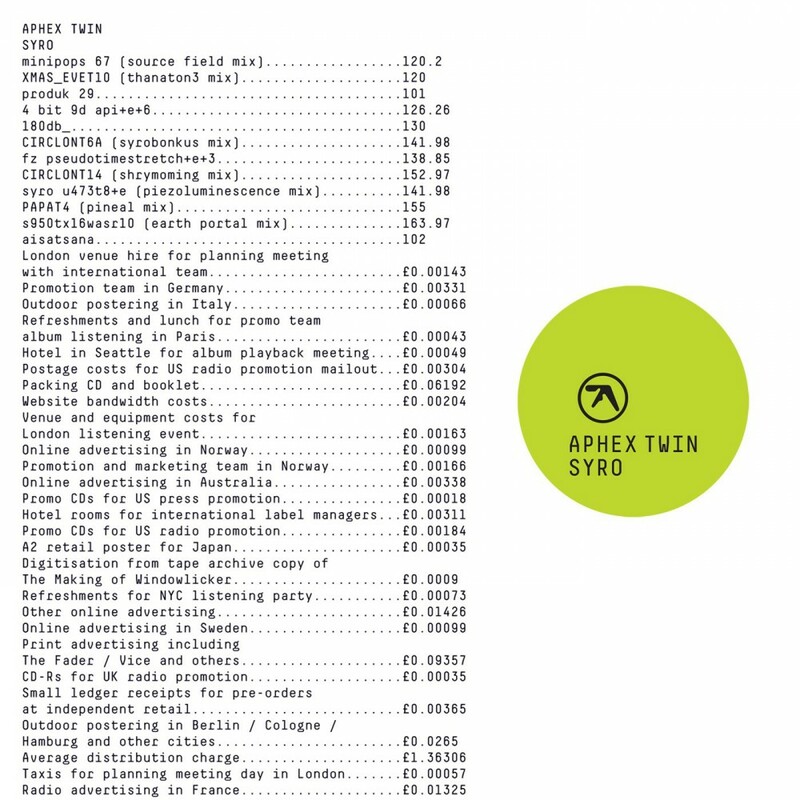 In addition to Syro (Aphex Twin), It seems we can’t find other examples (logos, movie posters, album covers etc.) of Decima Mono typeface in use.